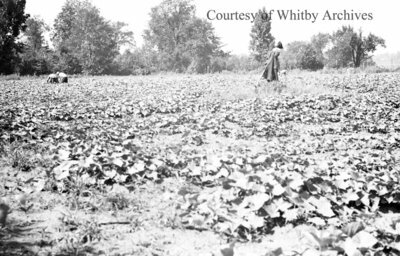 A black and white negative of the Collins onion field. Visible at left are labourers working in the field. Collins Onion Farm, August 17, 1938, Marjorie Ruddy. Whitby Archives A2013_040_740B.